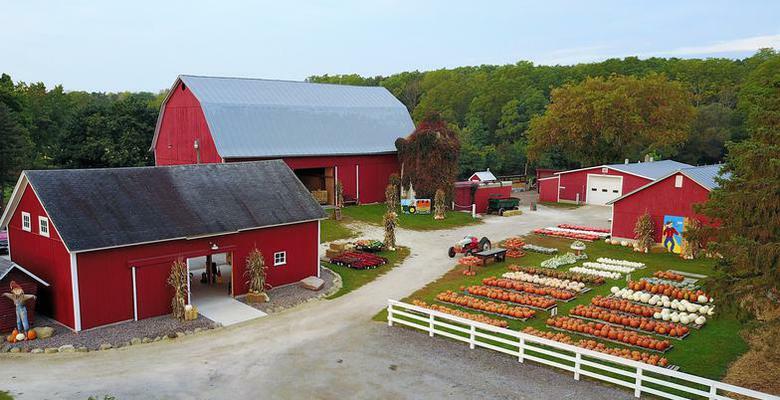 Creekside Valley Farm is family owned and operated specializing in Hay and Pumpkin sales. We are located in Mequon, Wisconsin. We would like to welcome you and your family to visit us for all of your fall needs. Come and visit us and enjoy a little bit of country in the heart of Mequon. You can spend your day exploring the farm or find your perfect pumpkin in our pick your own patch. Perhaps you just want to get lost in our corn maze or spend some quality time with our many farm animals. All we ask is that you create some great family memories.